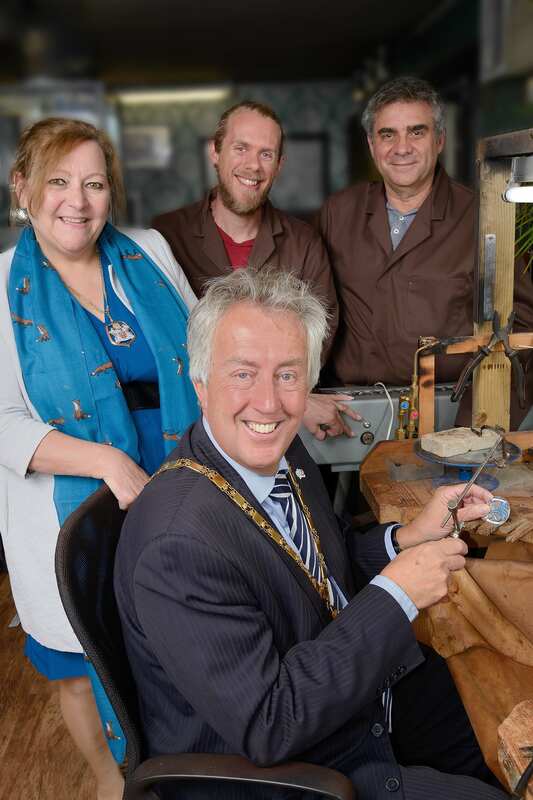 This week, Mayor David Hopkins and the Mayoress were given a lesson in piercing out intricate designs on metal by Cartier London trained, Glenn Chapman and son, Paul Chapman. The Mayor and Mayoress applied their knowledge by taking part in the making of a limited edition coin to commemorate Milton Keynes’ 50th birthday. 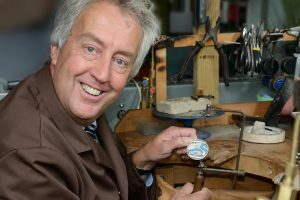 The special coin was designed and hand-crafted by The Goldsmithy, based in Stony Stratford for its charity fundraising evening on Thursday 19 October. The coin, along with five other specially made pieces will be auctioned to raise money for Willen Hospice. The Goldsmiths and Watchmakers, will host two ticket times at their workshop in O’dells Yard – one from 6pm – 7.30pm, and another from 7.45pm – 9.15pm. Tickets are limited and will cost £5, all of which will be donated to Willen Hospice. Guests will enjoy a glass of bubbly on arrival as they explore some of the bespoke jewellery pieces’ father and son; Glenn and Paul Chapman have created in the years. The event will have a live demonstration, showing the making processes; from melting metal and soldering, to skilfully shaping a ring. 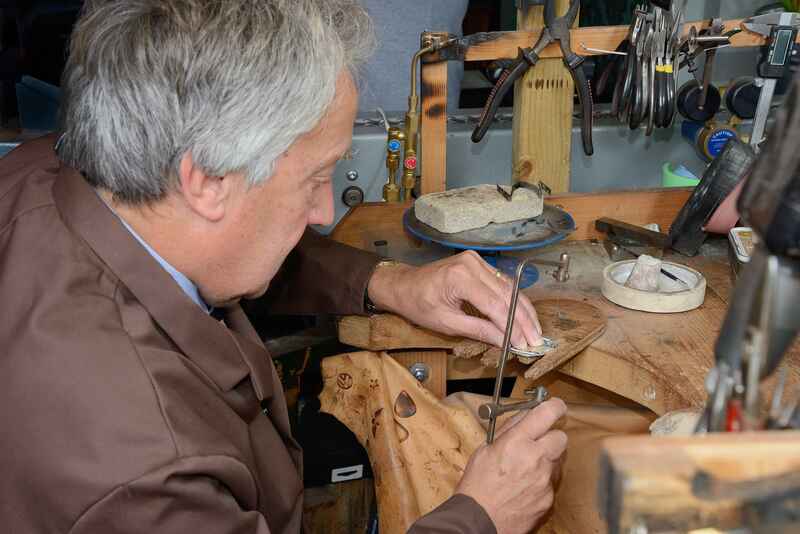 Two members from the audience will also get the chance to have a go at the bench – something The Goldsmithy Ltd offer to customers having bespoke jewellery made. Every guest attending will receive a complimentary voucher for a free clean and shine on a piece of their own beloved jewellery. The Goldsmithy ltd is a family run traditional goldsmiths based in the tranquil village of Stony Stratford since 2010. With father and son working at the benches, torches flickering and surrounded by hand tools of every shape and size gives you a glimpse behind the scene of this beautiful craft.